Create responsive, mobile-friendly web menus with CSS only. Light, fast, gorgeous menus - completely code-free. Menu smoothly adapts to the viewing environment. 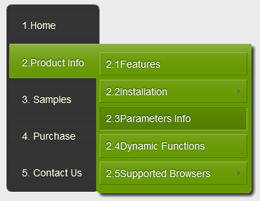 See responsive menu demo.. 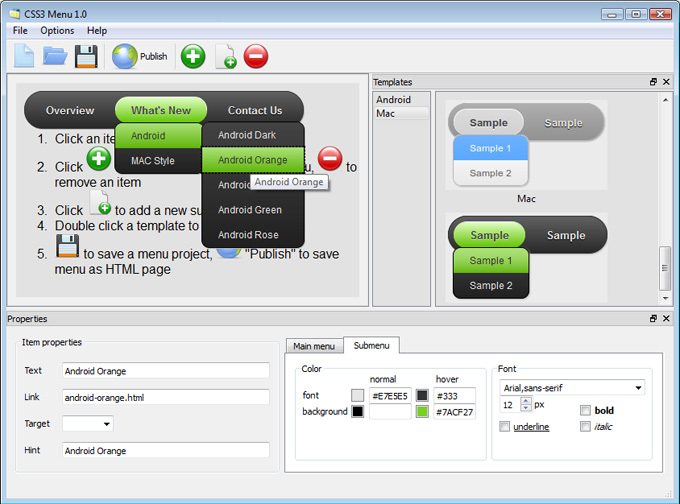 Supports all modern mobile menu devices (iPhone, iPad, Android, BlackBerry, Windows Phone). 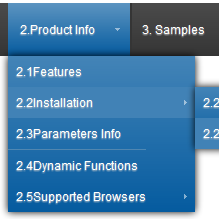 Multi-level dropdown menu is created using CSS3 rounded corners (CSS3 border-radius), CSS3 shadow (box-shadow and css3 text-shadow). 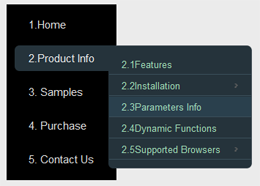 Opacity, backround and font colors, linear gradient and radial CSS3 gradient are also supported by free website maker. 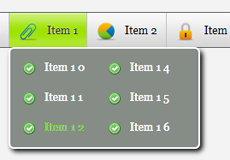 CSS3 only effect for dropdown appearance, Fade, Slide, etc. Create Mega Menu with multicolumn submenus. 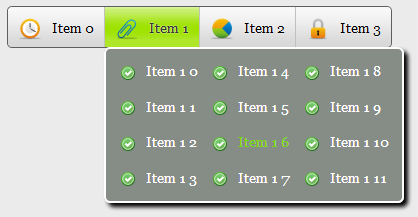 Specify the number of rows you want to have. * New languages for site: Swedish and Japanese. 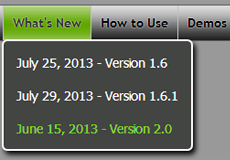 * New languages for site: Italian and Russian. * Updated "Insert to Page" wizard. 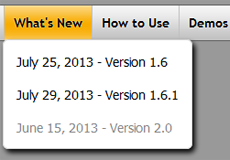 * Major and minor fixes. * Support for Google Web Fonts. 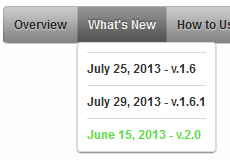 * Menu width & Menu height. 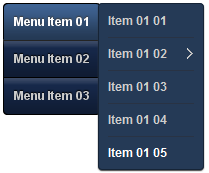 Sets the width or height of top menu. 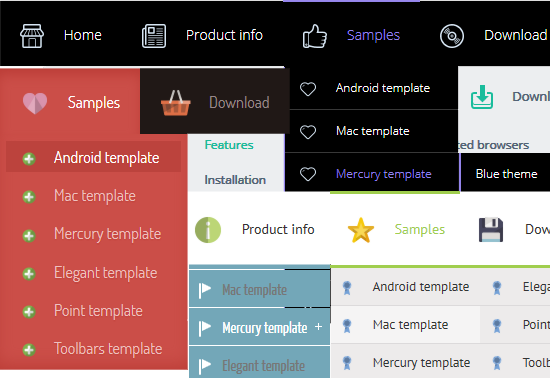 * 36 new menu templates. 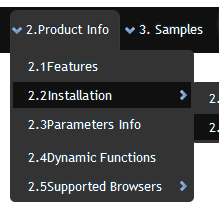 * Mega Drop Down Menu - Multicolumn / Mega Menu option for submenus. * 20 new menu templates. * "Icon" panel. Add fancy icons to menu items easily! * 22 new icon sets, 2900+ icons in total, each in several sizes. 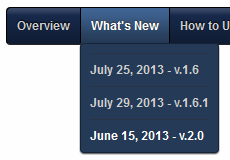 * "Menu height" option. Sets the height of top menu. 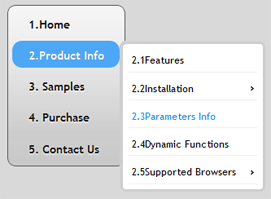 * "Menu radius" and "Item radius" to configure rounded corners. 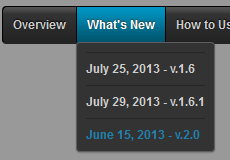 * New templates for vertical menus! 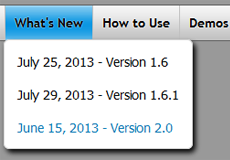 * Use "Move Item" buttons on the Toolbar to change item's order inside the menu. 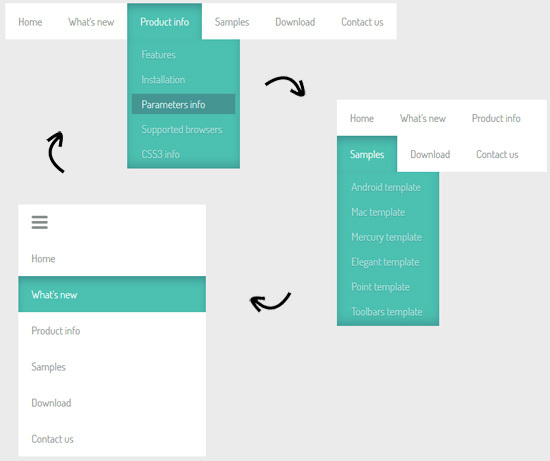 * Specify the radius of the top menu and submenus using "Radius" sliders. 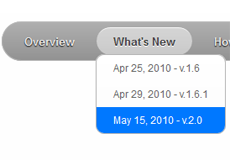 CSS3 Menu v1.0 (May 31, 2010) - First Release! A license fee is required for commercial use. 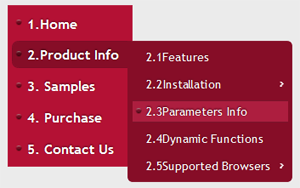 CSS3Menu Commercial Edition additionally provides an option to create multicolumn menus and includes extended sets of menu templates and icons. After you complete the payment via the secure form, you will receive a license information instantly by email. You can select the most suitable payment method: credit card, bank transfer, check, PayPal etc. 4.1. Save your project file. 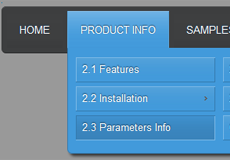 To save project just click "Save" button on the Toolbar or select "Save" or "Save As…" in the Main menu. 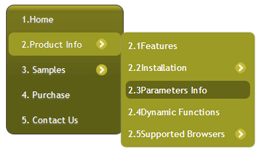 It is my understanding that we can have two installation of CSS3Menu that will only work on our web site. Is that correct? We are an all-volunteer organization including our web designers. 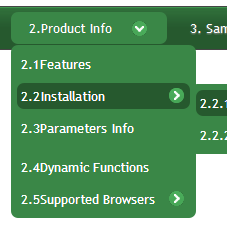 Hi, I've inserted the menu into my page but the submenus cannot be shown. I tried to change z-index property but it didn't help. 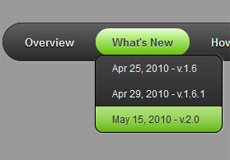 CSS3 Text Shadow - The CSS3 text shadow feature creates high-quality shadows with style. 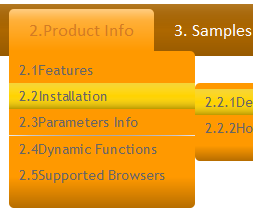 CSS3 Gradient - Everything changed with the introduction of CSS3 gradient feature. 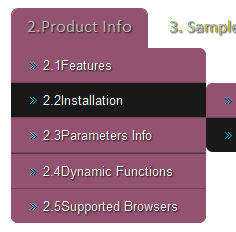 CSS3 Transition Menu - The best thing about creating CSS3 transition is that they will still work when accessed from an older browser. CSS3 Rounded Corners - Your website’s navigation menu will benefit greatly from adding CSS3 rounded corners to its buttons, sub-menus and sections.